I hate Pinterest. It’s a kind of loathing. Not the fiery wrath I feel towards injustice, or the cool hatred towards people who liked The Last Jedi and tell me I “just don’t get complex storytelling.” No, this is sort of loathing that feels like general full body ache. Like when you’re about to throw up or first got your period in middle school. It starts in the toes and goes straight up to the roots of my teeth. Whenever I google something and I see Pinterest in the search results that wave of dull loathing washes over me. Pinterest is the most useless form of social media available—remarkable when you consider Twitter exists. It is not informative. It does not gather people together. It is just a monster lurking in your search results, it’s rosy hued maw preparing to gorge itself on your clicks. Because you will never find what you seek on Pinterest. I was painfully reminded of my loathing last week when Gizmodo had its holiday party and I went to Google to brainstorm ideas for my makeup. I typed in a vague series of words— “gold,” “eye makeup,” dramatic”— presuming I’d be ushered towards a wide array of videos from beauty Youtubers with a smattering of looks courtesy of the big fashion and womens’ magazines too. Instead it was Pinterest in the top search result. And in what felt like every result after. It was related to my look for the party (be it makeup, hair, or even clothes) Pinterest was there, a prowler hungrily seeking my cursor. Actually clicking on Pinterest never provides anything useful. Instead its like a wasteland of popup ads gussied up to look like something pretty and potentially useful. Originally the site, which launched in 2009, was a place to create visual “pinboards.” You could make links to cool recipes, or nice hairstyles, or the perfect paint treatment for an old dresser. You could also post pics of friends or cool vacations you recently went on. In those early days it and Instagram were rivals for your visually-based social interactions, but where Instagram courted teens and celebrities with gaudy filters and an air of exclusivity, Pinterest was for everyone—in particular it was for the everywoman. As noted by Jezebel at the time, by 2012 Pinterest had over 10 million users, 80-percent of whom were women. Most social media sites tended to be evenly split between genders, or skewed male. Pinterest was different and everyone clamored to get their content in front of that huge guaranteed audience of ladies. Over the past five years the site’s numbers have steadily improved (in April Pinterest claimed over 175 million active users). And part of that improvement is Pinterest’s godlike ability to be at the top of nearly every damn Google search result related to things I like to buy that are not technology. I’ve no doubt half of Pinterest’s active users are people who signed up just to avoid the annoying “you should log in!” pop up that appears every time you navigate to the site. The reason the site ranks so high in search results is because once people click in, they never click out. Only they probably never click out because as soon as they find themselves on Pinterest they lose the will to browse the internet altogether. It is better to take a break and browse the magazine aisle at CVS than to spend twenty minutes trying to “use” Pinterest. The site is incessant, and more importantly, it’s useless. There’s no easy way to track down something specific without simply browsing thousands of images, and then you have to click on the image to open a page which will then take you to another page and that page may actually be a useful website or it may be a clickbait site or it may (as has happened to me more than once) actually be just another link back to Pinterest. That could be why Pinterest has struggled this year. In November Pinterest President Tim Kendall left the company to create, appropriately, a startup intending to fight “tech addiction.” It felt a little confusing at the time as the company, which has a $12.3 billion valuation, had just earned another $150 million in funding and was preparing to report ad revenue of over $500 million for 2017 and to launch an IPO very soon. Kendall (and Pinterest) should have been at the top of the game! Instead, as we learned Wednesday from The Information, Pinterest fell short of its ad revenue goal and is now planning it’s IPO for 2019. The company, which as you recall is known for it’s enormous userbase of women, also doesn’t actually have many women running the damn place. Kendall was replaced with a dude, and when it hired a new head of corporate and business development this month that was a dude too. In fact just 45-percent of the company is women, according to Pinterest’s own stats released earlier this week, and only 19-percent of leadership positions at the company are filled by people identifying as women. 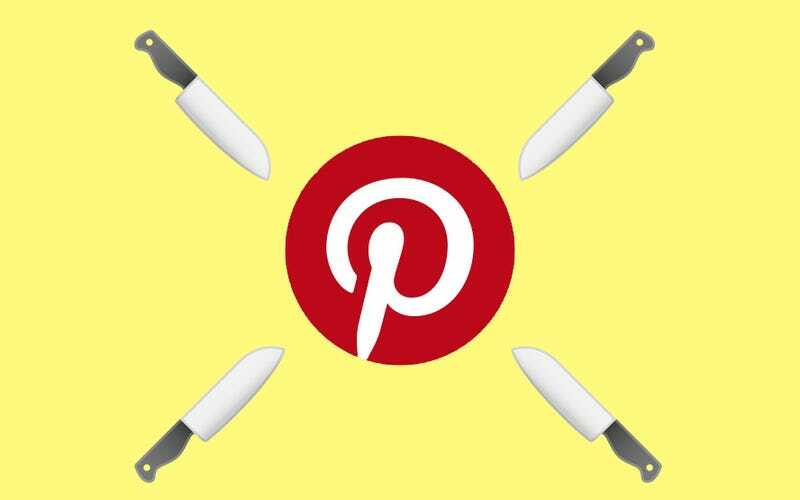 So Pinterest, which is ostensibly a social media site for women, is really just a dude-run advertising pit, luring women in with the promise of bettering themselves through recipes and makeup tips and sweet ideas for home improvement products. It’s a cesspit, and it should die. How Many &apos;Focus&apos; T-Shirts Does Pinterest President Tim Kendall Own?